"At war with myself but relaxed and calm"
Happy Friday!!! We've all made it another week and if you're reading this that means you could've been anywhere in the world but you're here with us, we appreciate that (Jay - Z voice). Fridays are all about the best of the best content and who exudes excellence more than GRIP with his new song "BREGMA Freestyle Pt. 2". 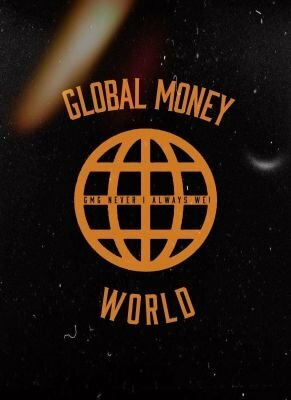 GRIP was first on Global Money World with his song "BREGMA Freestyle". A captivating record that really displayed his high level of skilled and is back with his action packed sequel "BREGMA Freestyle Pt.2". Hip Hop has always been about keeping it real and no other emcee keeps it real like GRIP. Displaying his truth in every line, while giving a raw perspective of his life, and being lyrically sharp at every turn. GRIP's "BREGMA Freestyle Pt.2" is what you get when an emcee gives his all on the mic. The rapping is first class as he flies above the competition, while being authentic as ever giving his truth, as well as packing a punch as an emcee with a sharp pen, and sharper flow to make this track a stand out in every way. Check out GRIP "BREGMA Freestyle" below and follow him on Twitter. Stay Global my Friends!